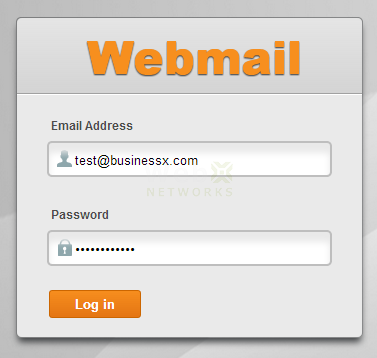 Webmail allows you to access your email from any computer with an Internet connection and a web browser. It also allows each email user access to manage their email account and password. Please make sure to log out after you have checked your email on public computers so that other people cannot read your email. This tutorial applies to cPanel Web Hosting because Webmail access comes with built-in. We assume you have already created the email account from cPanel, and you have your email address and its password. If you do not remember the password of an email account, you can login to cPanel to reset it. This will redirect you to secure webmail interface (over SSL) and ask you to provide your email login details. First time you login, you’ll be presented with three different webmail interfaces i.e. Horde, RoundCube and SquirrelMail. Each has its own features. You can try all of them and choose the one you like by clicking on Enable AutoLoad under it. Or you would like to keep the options open, you can choose the one you like each time you login. Change Password: Change your email address password. Forwarding Options: To forward a copy of incoming email to another email address or script. Add Auto Responder: When you are away from computer/emails for extended period of time (e.g. on vacation), you can set your away message here. For more details check this tutorial. Configure Mail Client: To configure email client software on your computer or mobile device. Email Filtering: To setup email filters. For more details check this tutorial. Email Trace: This feature allows you to review email delivery attempts for your account. You can see details of each delivery attempt, including whether a message was delivered successfully. You can also see the delivery route for a message from your account’s mail server to a remote address. Once you are done checking your email, you can click logout on any webmail interface and it will log you out completely. Let us know if you face any problem with using webmail on cPanel Web Hosting.